The name Vaughn Monroe might not be known much to the average Joe on the street. However, to fans of the music of the 1940s and 1950s, Vaughn's booming and soaring voice made many records of that era very enjoyable. 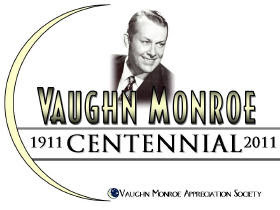 This month Vaughn Monroe celebrated what would have been his 100th birthday. He died many years ago, but his memory lives on with the hundreds of songs he recorded for RCA, and the great appreciation society which helps to keep his memory alive. Monroe was born in Akron, Ohio on October 7, 1911. He graduated from Jeannette High School in Pennsylvania in 1929 where he was senior class president and voted "most likely to succeed." After graduation, he attended the Carnegie Institute of Technology, where he was an active member of the Sigma Nu Fraternity. Monroe attended New England Conservatory for one semester in 1935, studying voice with Clarence B. Shirley. He recorded extensively for RCA Victor until the 1950s and his signature tune was "Racing with the Moon" (1941). 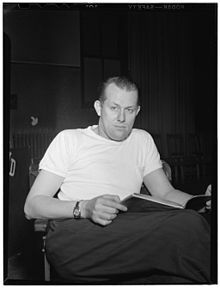 Among his other hits were "In the Still of the Night" (1939), "There I Go" (1941), "There I've Said It Again" (1945), "Let It Snow, Let It Snow, Let It Snow" (1946), "Ballerina" (1947), "Riders in the Sky" (1949), "Someday (You'll Want Me To Want You)" (1949), "Sound Off" (1951), and "In the Middle of the House" (1956). Movies also beckoned, although he did not pursue it with vigor. 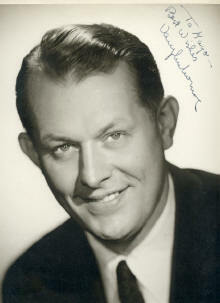 Monroe appeared in 1944's Meet the People, Carnegie Hall (1947), Singing Guns (1950), and The Toughest Man in Arizona (1952). 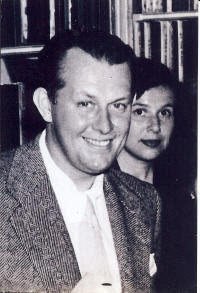 He co-authored The Adventures of Mr. Putt Putt, a children's book about airplanes and flying, published in 1949. He hosted The Vaughn Monroe Show on CBS television from 1950–51 and from 1954–55, and also appeared on Bonanza and The Mike Douglas Show, as well as The Ed Sullivan Show, Texaco Star Theatre, The Jackie Gleason Show, The Tonight Show, and American Bandstand. He was a major stockholder in RCA and appeared in print ads and television commercials for the company's TV and audio products. Once in a Goodwill store my sister and I checked out a record player to see if it worked properly and next to it was "Racing With the Moon". We cranked it and everybody in the store smiled.